Located just east of Memorial Park, Fireman’s park is ran by the City of Elum’s Volunteer Fire Department. Fireman’s Park has all of the amenities that you will need for a family reunion, company barbeque, or a wedding. 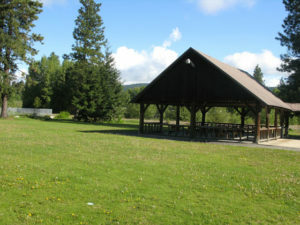 Amenities: Parking, covered area, picnic tables, benches, horseshoe pits, fire pits, enclosed cooking facilities, and restrooms. Reservations: Fireman’s Park is by reservation only, if you would like to reserve the park call Kyle Nicholson at (509) 674-9356.